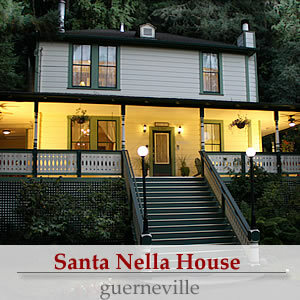 RUSSIAN RIVER & SONOMA WINE COUNTRY INNS are romantic Bed and Breakfast Inns, Cottages and small Boutique Hotels located in the Sonoma Wine Country, Russian River Recreation area, the only Sonoma County Wine appellation with Vineyards, towering ancient Redwoods and a Pacific Ocean Coast. 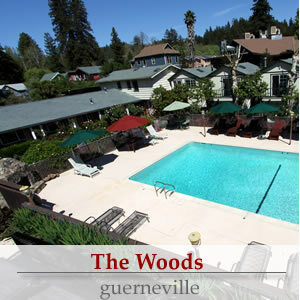 A beautiful blend of elegance and country warmth, these California wine country inns, cottages and hotels can be found in historic Russian River resort towns like Guerneville, Forestville and Healdsburg. 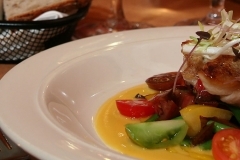 As well as the immensely popular Sonoma Wine Country towns of Occidental, Sebastopol, Cloverdale and Sonoma. 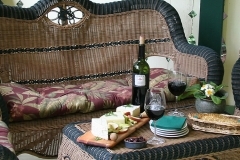 Russian River Inns has gained public and media attention for the quality and diversity of Wine Country accommodations. 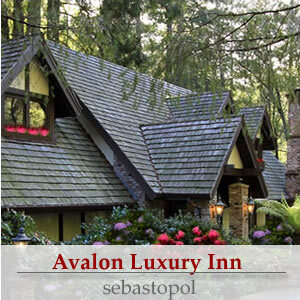 Popular among travelers is the comfortably casual atmosphere at Inn at Occidental, Avalon Luxury Inn and Santa Nella House. 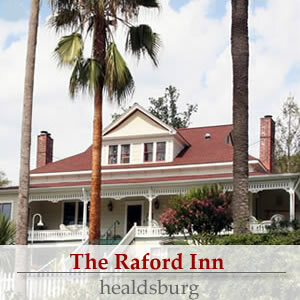 The cozy Fern Grove Cottages’ proximity to the banks of the Russian River is complimented by the historic River Belle Inn, Haydon Street Inn, Camellia Inn, Bella Luna Inn and Raford Inn’s placement in the iconic town of Healdsburg. 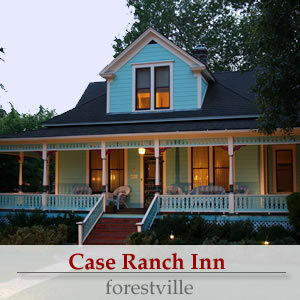 Case Ranch Inn is a Victorian farmhouse built around 1894, now lovingly restored, and is a registered Sonoma County historical landmark. 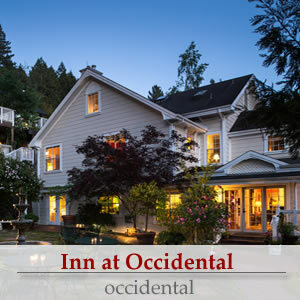 Elegant bed and breakfast inns like the Sonoma Orchid Inn, next to Korbel Winery and The Woods Resort in Guerneville is a special experience for Russian River/Sonoma Wine Country travelers. All Russian River Innkeepers share a dedication to each guest in true Sonoma County fashion: genuine friendliness, warmth and hospitality. 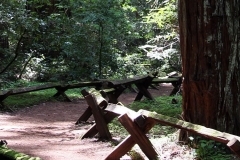 Day trips to Armstrong Woods, the Sonoma Coast, Alexander Valley, Dry Creek Valley, as well as our own Russian River Valley vineyards can be combined with easy drives to the historic town of Sonoma and the Napa Valley making the Russian River Inns a great choice for Sonoma County lodging. 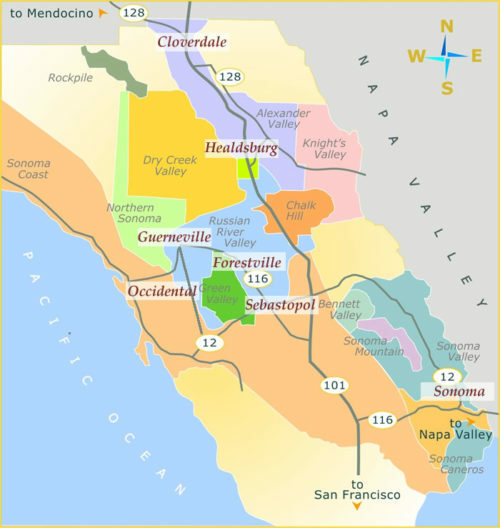 Sonoma County North, California, USA: One of California’s most geographically diverse counties, Sonoma is also one of its most vibrant wine areas. 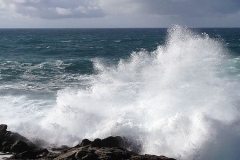 The Coast Ranges hug the Pacific Ocean on the western side of Sonoma County, protecting it from the cold ocean currents rushing along the coast from the north. On the far eastern side, the Mayacamas Mountains carve the county line between Sonoma and Napa. 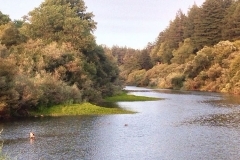 In the middle, the Russian River Valley creates a series of rippling hills and flood plains. 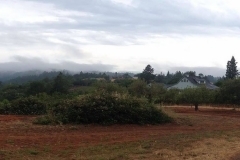 And it’s the notable change in temperature and conditions, between coastal and inland reaches, that enables such diversity in northern Sonoma’s wines. 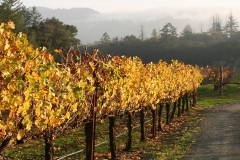 Home to 17 different winegrowing regions, or AVAs, Sonoma County grows everything from full-bodied Zinfandel to structural Bordeaux blends, spicy Rhône varieties, elegant Pinot Noir and refreshing, crisp whites. The region enjoys warm daytime temperatures ample enough for producing robust reds, with still fairly cool nights, and this combination leads to wines with plenty of flavour and bright, refreshing acidity. There’s nothing quite like going to source: sipping that perfectly crisp Chardonnay amidst the rustic, rolling landscapes that brought it into being.